If you have a cavity or a cracked tooth, you probably need a dental filling to fix the damage. In some cases if the damage is extensive you may need a crown. During this process, your dentist will remove any decayed tooth material and replace it with the filling. But what kind of filling should you get? Dentists use four main types of fillings: amalgam, ceramic and composite. Each has its advantages and disadvantages, and your dentist can advise you on which is best for your situation. Learn more about each type of filling below, and ask your dentist for more information if you have questions. Amalgam fillings look silver, and they’re made out of a combination of tin, silver and mercury. Some people are put off by the idea of getting a filling that contains mercury, but you don’t need to worry: amalgam fillings have been used and studied for decades, and experts like the American Dental Association, the World Health Organization and the US Food and Drug Administration all agree that these fillings are very safe. Amalgam fillings are durable, strong and affordable, making them a very common choice for dental patients. However, because of their silvery coloring, they don’t look like your natural teeth and will stand out. Additionally, they can often only be used to fill large cavities, which limits their usefulness if you only have a small amount of tooth damage. Ceramic fillings are usually made out of porcelain. Unlike a metal filling like amalgam or silvery, ceramic fillings can be made to blend in perfectly with your teeth, so no one looking at your smile will know that you had a filling. As an added benefit, ceramic fillings are often very long-lasting and are stain-resistant. Composite fillings are a top choice for many dental patients, and as composite fillings continue to improve and become more advanced, they’re becoming more and more popular. Not only do composite fillings match the color of your teeth, but they can be used to fill just about any size or type of damage, from a large cavity to a tiny crack. This type of filling is very versatile, and it provides a lot of support to your teeth. If you need a filling, ask your dentist about your options. Your dentist will be able to look at your circumstances with a trained eye to give you a recommendation that best fits your needs. Reach out to Milner Dentistry if you’re in the Springfield, IL, area. 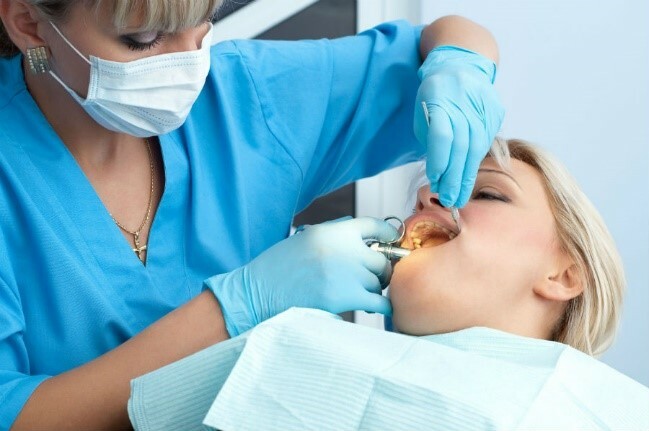 We often recommend composite fillings to our patients, since we’ve noticed that our patients tend to be very satisfied with them, but we’ll make sure you know all your options. We hope to see you in our office soon.